Yangon (VNA) – Low-cost carrier Vietjet Air officially announced its new route connecting Hanoi with Yangon, the renowned tourism city of Myanmar, at a ceremony in Yangon on August 26 on the occasion of Party General Secretary Nguyen Phu Trong’s state visit to the country. The route is expected to meet traveling demands between the two countries, making contributions to promoting regional trade and integration. 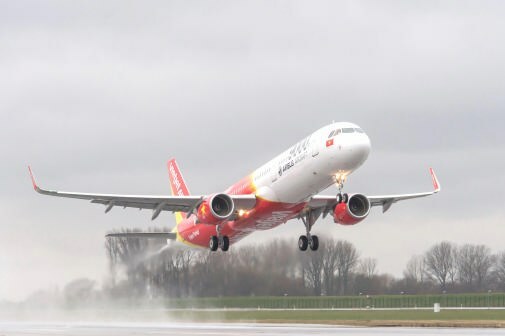 Vietjet Air will conduct daily round-trip flights on the route with flight duration of nearly two hours. Flights from Hanoi take off at 12:05 and arrive in Yangon at 13:30 (local time). Meanwhile, the return leg leaves Myanmar at 14:30 and touches down in Hanoi at 16:55 (local time). This is the second Vietjet Air service to Myanmar, following its Ho Chi Minh City-Yangon route.